At Sappi North America, we recognize that strong, sustainable companies don't merely manage against quarterly financial targets—they invest in the people they employ, they make commitments to protect the planet from the wasteful use of natural resources, and they have a clear vision for achieving profitable growth and prosperity for current and future generations. 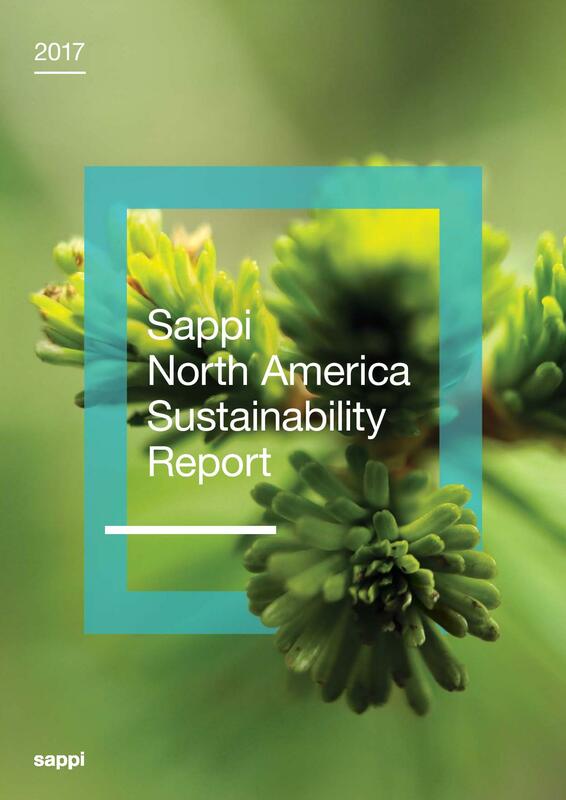 Since the release of the company’s first Sustainability Report in 2008, Sappi North America has consistently demonstrated a commitment to transparency, innovation and doing good - environmentally, socially and economically. Every day we work hard to ensure our policies and procedures across all areas of the business are operating efficiently and environmentally. The three pillars of sustainability – People, Planet and Prosperity – remain core to our operations, and collectively, these goals push us toward aggressively working to increasing safety and education for Sappi employees, building returns on net operating assets through increases in operational efficiency, and reducing energy and raw material waste. We work at manufacturing, distributing and disposing of our products, from each of our core business units, in responsible and sustainable ways. We are committed to helping all our partners across the supply chain —from suppliers to customers—understand the true footprint of our business so that they can trust that when they do business with us, they are doing business with the leader in the industry. We have our eye to the future, not only for the evolution of our business and products, but the impact that we will continue to have on our environment. We strive to find sustainable solutions to everything that we do, and we thank you, our stakeholders, for helping us along the way. To learn more, download a PDF of Sappi North America’s 2017 Sustainability Report here.